Buying a car in Australia is something of a rite of passage – almost all Australian’s will do it at some point. Car prices continue to become more and more attractive and the range of cars ever increases. But it remains a difficult task despite all that, especially for the first time buyer. There is a lot to take into account, and we’re not just talking about make and model. However, it mostly becomes a process of asking questions, of yourself and the seller. Answering them honestly will make things much easier overall, whether the vehicle is new or second hand. The first step in buying a new car is setting the budget. Keep it flexible, but always have a maximum price – and make sure you stick to it. The first step in buying a new car is setting the budget. Keep it flexible, but always have a maximum price – and make sure you stick to it. Ensure that the maximum price includes everything that is involved in the purchase journey – if you budget for a certain price and then find that the extras and on-road costs put you well past that price, you could get caught out. Avoid the pain and awkwardness of going too far, and keep things reasonable. You will need to consider the type of car that meets your needs and ensure that you can afford the ongoing costs. A manual car is usually cheaper than an automatic and costs less to repair. You should also consider the size of the car, if you have a family – a two door coupe is unlikely to be suitable, you may need to consider a sedan or wagon which is likely to be more expensive. The vehicle you choose will not be perfect for every situation, but it’s usually pretty easy to pick which would be most beneficial for you and your lifestyle. There is also the long-term cost of fuel to think about. A diesel engine for example, can reduce fuel costs. However, it must also be noted that these cars can be more expensive overall compared to their petrol counterparts. Maintenance also needs to be considered as part of the ongoing expenses – parts for specific models and makes are more expensive than others, so keep this in mind when looking at the make of the desired vehicle. It is often the case, however, that the reason for higher maintenance costs and expensive parts is because of the quality of the construction. All of this comes down to a matter of research. Find the make and model that’s suitable for you. Think about what you are going to use your desired car for most. All of this comes down to a matter of research. Find the make and model that’s suitable for you. Think about what you are going to use it for, and decide what things are the most important. Off-road driving or getting the kids to school? More engine power or fuel economy? Safety or size? List out all your considerations and prioritise your needs until you are choosing between only the most important features and try not to let emotion creep into your decision process. Enjoying the drive is important, but an emotional choice will potentially create more problems than you solve if the buyer fails to consider the most important questions.The next question comes when you ask yourself – new, or used? Both should be treated differently. Be sure of what you are looking for before you step into the dealership – which means doing your research. When buying a new car, you’ll have to deal with one of the most intimidating factors in buying the vehicle – a car dealer. They can be the part that makes or breaks the sale, but not if you go in fully aware of your own needs, what you are looking for – and what your rights are as a consumer. Be sure of what you are looking for before you step into the dealership – which means doing your research. You can then go in confident with prices, model specifications and independent reviews that will help guide your decision making process. If you go in prepared you have a stronger position over the salesperson, allowing you to dictate terms rather than the other way round and have more leverage for pricing. This knowledge continues on as the negotiations continue – be aware of what the standard features of the vehicle might be, and what is an extra you have to pay for. Do not waste your money on unnecessary extras that you will regret later, or in fact turn out to be unnecessary. 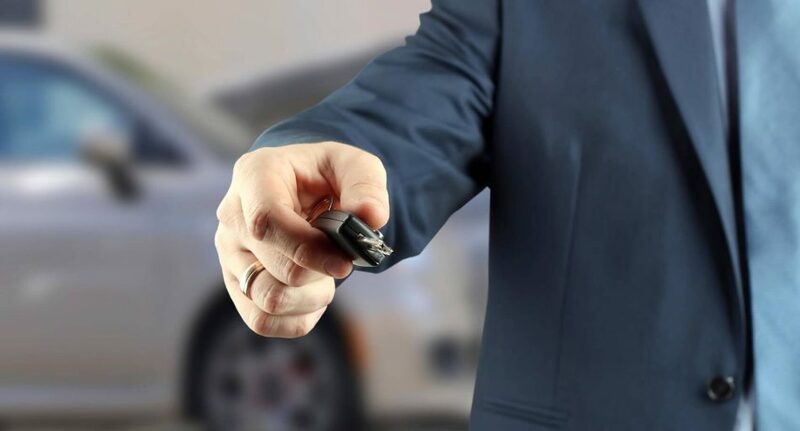 In particular, read the fine print on things such as extended warranties – some of them will force you to service the car at that dealer, and that may end up costing you much more in the long run. Make sure you organise your car insurance before you leave the dealership. You can never be too careful when it comes to your new car. Do not be afraid to haggle! If you time it right and keep control of the transaction, you might be able to push the price down substantially. Dealers will often have budgets, and if you slip in towards the end of a quarter or sales month, they might be willing to negotiate more than they normally would to get that extra sale. Also remember – new does not necessarily mean ‘new’. Cars have a build date and a compliance plate, which signifies when it was built, and when it cleared customs in Australia. There can be a big difference between the two due to shipping times. One offered from a previous year should be cheaper than a current year model, even if the car is the same type. Make sure you organise your car insurance before you leave the dealership. You can never be too careful when it comes to your new car. Buying a used car has its own difficulties. But again, research and careful consideration will help you out. Be prepared for what you want to buy, know what sort of car you want and what sort of condition it should be in, and be aware of any special modifications – such things might increase price not just at the outset, but also in terms of maintenance beyond what you want to pay. You need to establish a basic history for the vehicle, and the life it has had. This will give you insight into potential problems you might have in the future, which will in turn give you a better indication of the price. A car with many owners and a lot of mileage indicates a rough life, but a single owner with low mileage tends to make the car more attractive. Give the vehicle a very thorough inspection – make sure you can clearly see if it has imperfections or damage, or attempts to cover up the damage. If you’ve a friend who is more experienced at inspecting used cars or has vehicle knowledge that you trust, bring them along. If the seller is private, ask questions. How long the car has been owned, how many kilometres it has done, how many owners has it had? Is there a full service history? Has it ever been in a crash? Make sure the car has been thoroughly and properly serviced, and that it is in a reasonable mechanical condition. Regardless of whether or not the seller is a dealer or a private one, make sure it has a roadworthy certificate that is less than 30 days old. If the seller is private, also make sure to check with your state transport authority to see if the car has anything looming overhead such as being stolen, written off by an insurance company, has money owing on it or if the registration has been cancelled on it. If everything checks out and you decide to buy, notify the proper authorities of the purchase and organise insurance. Make sure you take into account stamp duties and transfer fees, and be aware of any finance on the car – any debts it has can quickly become your own. Always check under the hood when making a private purchase – look for a clean engine bay (which shows it has been maintained), and check the oil to see if it is in good condition. Look for damage, unwelcome smoke, or nasty fumes. Check the tires and look for a deeper tread to give the best grip. Make sure all the lights are working, and are of equal brightness – lights that are darker than the rest might indicate damage repairs. New or old, when you actually start driving the car, take it carefully. With a new car, the systems should be fine but the car might not handle in a way that you like or feel comfortable with. With a second hand car, the car should start immediately, and should have no worrying or uncomfortable sounds coming from the engine. When driving, test the feel and function of the steering, the brakes, and the gears. Suspension should be quiet and smooth on bumpy roads. If the car groans, creaks, and is a bit twitchy or overly bouncy, it may have problems with one or more of these systems. The internals of the car should be clean, well maintained, and comfortable. Test the seats to make sure they are suitable. And as this is Australia, make sure the air conditioning works! The hot summers make it a must have. In the end, buying a new car is a matter of patience, careful thought and consideration. If you don’t rush it and take your time, you should be able to get the car you need for the price you want, whether it is new or old. In the end, buying a new car is a matter of patience, careful thought and consideration. If you don’t rush it and take your time, you should be able to get the car you need for the price you want. Being aware and ready as you go into the market is your best weapon for doing so. Take your time sorting out what you want to have and test what you want to drive. If you have a lingering doubt it is usually best to step away and consider the matter carefully. Don’t let yourself be fooled or pulled into something you don’t feel comfortable with. There’s no need to hurry – and if you take it carefully, you’ll not only be happy with what you buy immediately, but in all of the years to follow as well.